Diaa Ghabbour, DMD, provides preventive, cosmetic and restorative dental services as well as emergency dental care for the whole family. He treats adults and children starting at age 9. Dr. Ghabbour offers thorough dental examinations and smile assessments, periodontal (gum) therapy, fillings, crowns, bridges, dentures, partials, teeth whitening, veneers, extractions, implant restorations, mouthguards, laser-assisted dentistry, and root canal therapy. 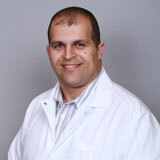 Dr. Ghabbour earned his dental degree at the University of Florida College of Dentistry in Gainesville. He also completed a residency at Shands Hospital at the University of Florida. His undergraduate degree is from the University of South Florida in Tampa. Dr. Ghabbour is a member of the American Dental Association, Florida Dental Association, and the Academy of General Dentistry. He is fluent in English and Arabic. Dr. Fernando Jimenez is an experienced oral surgeon with advanced training in dental implant placement, wisdom teeth removal, bone grafting, soft tissue grafting, sinus lifts, oral cancer pathology, and other types of oral surgery services. 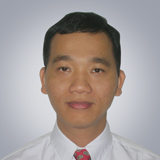 He is also skilled in multiple types of sedation to ensure the comfort of his patients. 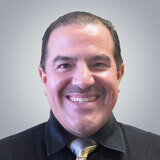 Dr. Jimenez is bilingual in English and Spanish. He earned his Doctor of Dental Medicine (DMD) degree from University of Puerto Rico – Medical Sciences Campus in 2003 and completed his oral and maxillofacial surgery residency at Emory University School of Medicine in Atlanta in 2007. He owned a private practice for several years before joining Coast Dental.